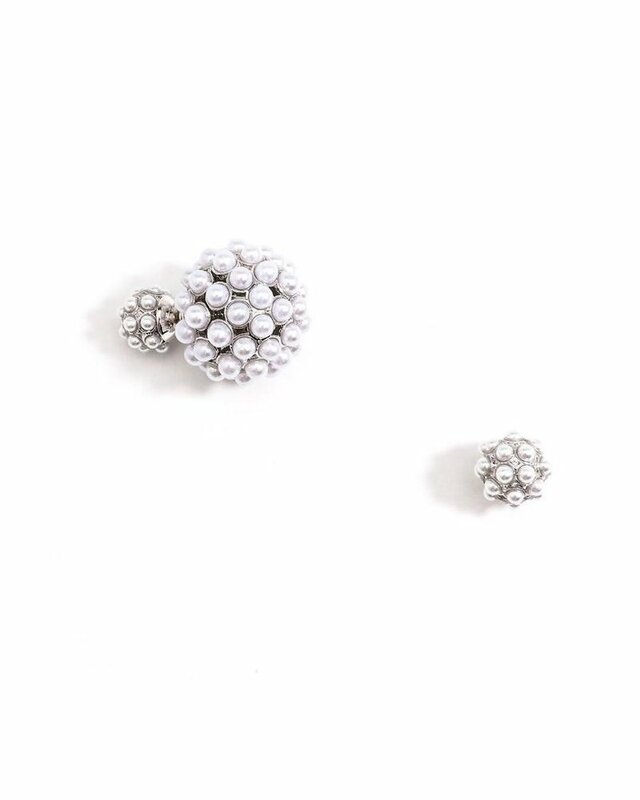 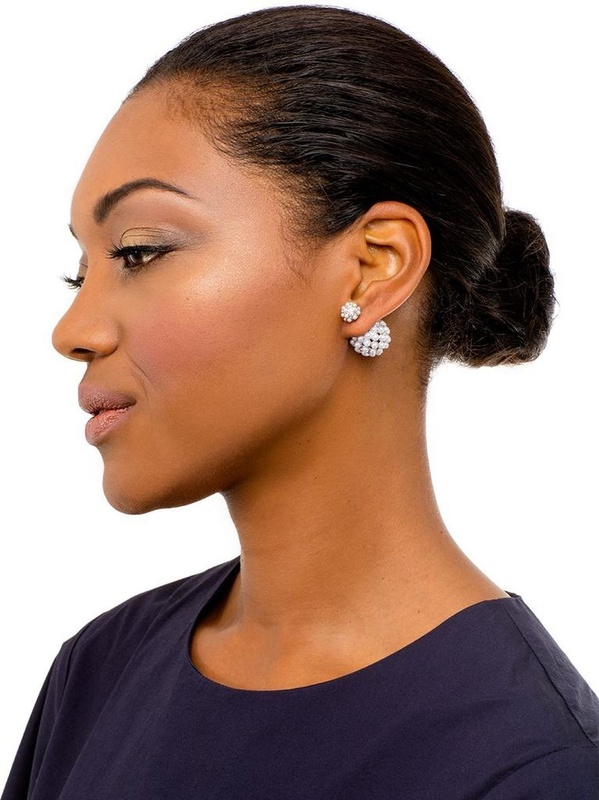 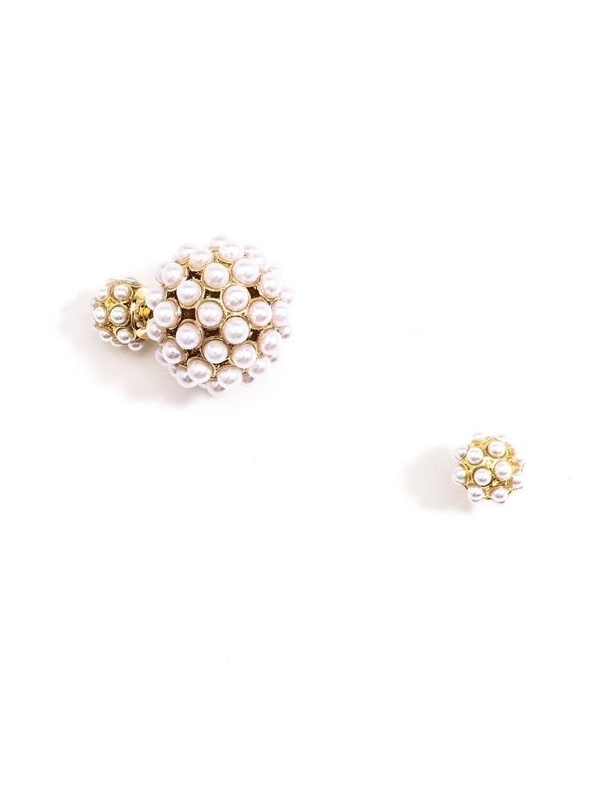 A fun twist on the traditional pearl stud earring. 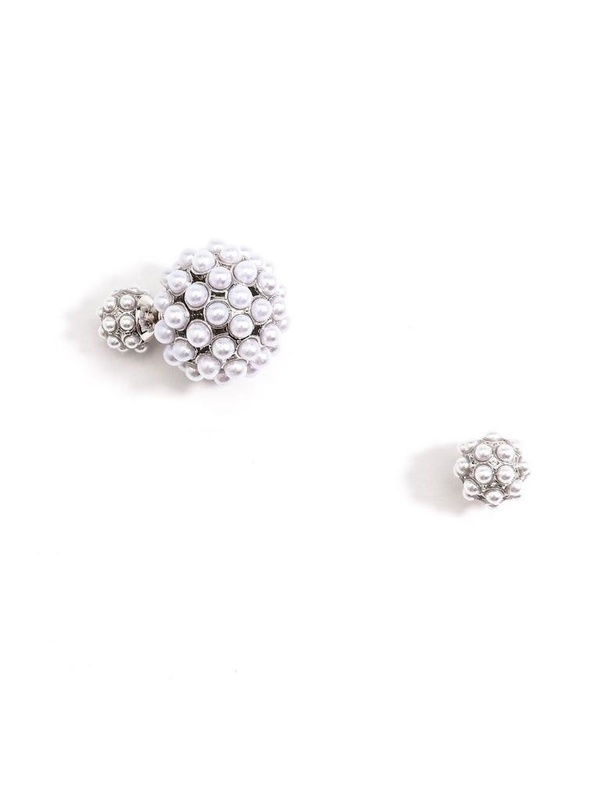 The small pearl cluster goes in the front, and the large cluster is the back. 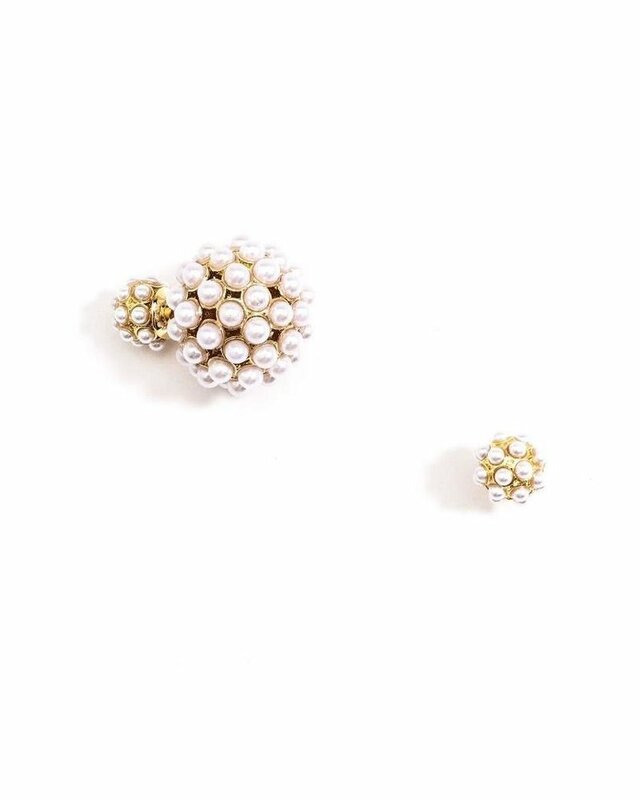 Peek A Boo Pearls!